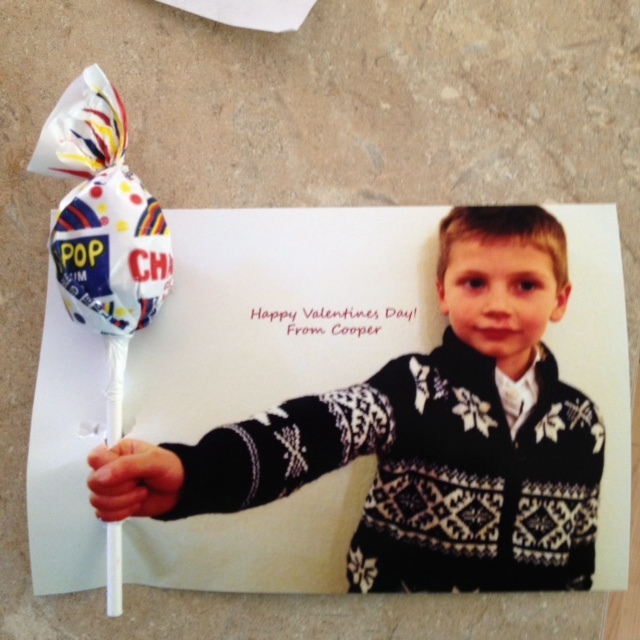 Do you still need to come up with something fun for your child to hand out on Valentine’s Day? We have a really fun idea that we found on http://www.designmom.com/2010/02/done/ that we wanted to share with all of you. It is unique, fun, and super easy. These are so inexpensive too! Just upload your photo to to Walmart 1 hour photo and purchase the lollipops. The kids can also able to help with this! 1) Take a picture of your child with their hand out. 2) Insert a slit on the top and bottom of their hand for the lollipop (mom will need to do this part). 3) Slide the lollipop through the slit. Your kids will be proud to hand these out to their friends!